(Newser) – Think of a strawberry. Chances are you're picturing a Driscoll's berry: "glossy, red, and heart-shaped, and firm enough to ship to the East Coast or to the Middle East." And that's not surprising. Driscoll's controls about a third of the US berry market, making it the largest berry company in the world, the New Yorker reports in a longread on how the California company shaped the modern conception of a strawberry. Heck, Driscoll's was even the first company to start putting berries in those ubiquitous clear plastic clamshells. Driscoll's—which started during World War II, taking advantage of an opening in the industry created by the internment of Japanese-Americans—got to where it is by focusing on a strawberry's appearance over its flavor. Their strawberries don't taste like strawberries. Driscoll was the class of the industry years ago. Naturipe, Giant and even Tommy Nunes produce a better product. 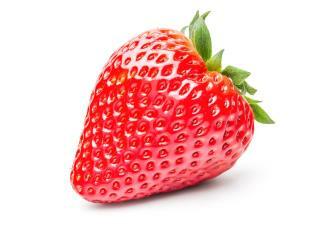 Strawberries taste like strawberries if you eat them right off the plant.